1. I’ve noticed lately that Twitter love for me has faded somewhat. I’m getting fewer retweets. My Klout score is down to 62 from 65.8 (the horror of first world problems!) and the rate of new follows has slowed. That or, as someone told me recently, Twitter isn’t showing retweets as doggedly as they once did. 2. I gifted copies of Six Seconds to a bunch of people who indicated their eagerness to give an honest review in exchange for a free copy. It only has two reviews thus far, and none from those who received the ebook from me. Six Seconds is a short guide to Vine, so I don’t know how to encourage them to review it without sounding churlish or whiny. Yet, I do need those reviews. I need reviews of everything. I did receive a fresh review of Bigger Than Jesus recently and that was a great thing that happened organically. The trouble is, to promote the books on some websites, I need at least ten reviews. If I wait for it to happen organically, it’s a trickle. If you have any ideas on how to nudge reviewers without sounding like a bad guy, please let me know. Or perhaps I should risk it because as it is, I’m screwed, silent or sounding off. 3. Promotionally, I’m in the doldrums between book launches. This Plague of Days is a monster-size book so the editorial logistics require a longer wait between publication dates. I’m very aware that if the time between books is too long, it’s easy to be forgotten. 5. I have a standing offer to subscribe to my mailing list at AllThatChazz.com. Subscribers get promoted on the podcast. Though All That Chazz is heard in more than 60 countries weekly, I’m not exactly flooded with subscribers. “Not exactly flooded” is my pitiful attempt to save a shred of dignity. It’s not really not working. Therefore, I have to go to them because they aren’t coming to me. 1. Attitude adjustment = no whining. Over Christmas and into January, I had a bout of depression and self-doubt that crippled my creativity and work ethic. I still wrote and produced and put out podcasts. I think no one knew for sure, but I was down-dooby-do-down-down. I kept it to myself and pretended everything was peachy. It wasn’t. That put a dent in things. I can swing back and forth from high creativity to much less when Seasonal Affective Disorder hits. When I feel down, I sleep more and life feels like pushing a truck uphill without wheels. That was then. I’m feeling better, getting more sun and exercise and drinking more kale shakes. I’m back and looking for trouble to shoot. With the new Cool People Podcast, I have fun interviews with interesting guests. That helps step outside the echo chamber by expanding my connections, mixing networks with more people and best of all, did I mention I get to talk to cool people? If you like the podcasts, please leave a review on iTunes. That helps. 3. I’m expanding my following on Vine faster than on Twitter. 4. I’ve created more book-specific websites to inspire more qualified (read: interested) traffic. For instance, Six Seconds, The Unauthorized Guide to How to Build Your Business with the Vine App, now has its own website. It’s useful and expands on the guide’s suggestions. Vine (the equivalent of video Twitter) just upgraded so I wrote about that development. This is a significant change because the upgrade allows vines to be embedded. Some viners will become stars on Vine just as some power users are stars on YouTube. Twitter has optimized the social sharing component of the app so I can enliven my websites with vines and spread my word wider. 5. My newest website is ThisPlagueofDays.com. The primary focus of the blog is not just my serial of the same name. The book has a lot of angles. For instance, I’ve done extensive research in survivalism and sustainability over the years. I had a battered, paranoid youth so my past is dumped into the post-apocalyptic landscape. I’m sure this serial will have a wide appeal, but providing specifics about surviving a world flu pandemic provides more added value than being yet another author talking about his or her book endlessly. I recently posted about the best books on disaster preparedness. In an upcoming post, I write about the SARS crisis in Toronto that killed 44 people, the mistakes that were made and how they’ll be made again in the next contagious disease crisis. Find your angle and help people with it. If you’ve got a romance set in Martha’s Vineyard and you don’t think you’ve got an angle, write about tourism to Martha’s Vineyard. Find the angle and you’ll find a niche that’s identifiable. I’m sure Self-help for Stoners sells best because stoners recognize it’s fiction especially for them. That was by design. Bigger Than Jesus doesn’t sell as well because, on hearing it, someone will think my funny crime novel is a religious book or has something to do with the Beatles. That’s why those books have the covers they do. 7. Advertise. As the power of free spirals out of the heights it has occupied, those of us who tried to get away with less promotional investment will have to change our patterns. I’ve been reluctant to use tools I don’t respond to as a consumer. For instance, I’ve never clicked on a Facebook ad once. However, I’m not all consumers and it’s time I got over myself to give my books a better shot. Other authors have had success with pay-per-click advertising and you can limit how much you spend. Spending is scary. I’m still working with a very limited budget, but I can limit the risk so it doesn’t get out of hand. This is the time to double-down on my bet on myself, not stick to the nickel a chip table. We used to be able to get away with zero ad budgets. We at least have to promote the crap out of free days now (if we have them) and that means paying some ad fees. 8. Send out more copies to book bloggers. More reviews will allow me to post the books to those sites that require a minimum of ten reviews above four stars. Sites like BookBub, for instance. I’ve heard good things about BookBub, but because of pricing, timing and review restrictions, it’s still out of reach for me. 9. Ask for help. I guess we’re out of the theoretical and I’m talking directly to you. If you’re interested in an advanced copy of the serial, please let me know at expartepress (AT) gmail (DOT) com. The serial overall is over 130,000 words, but the episodes are short. I’m still in revisions, so I haven’t nailed down episode word counts yet. However, it won’t be an arduous read for those interested in a plague apocalypse pitted against an Aspergers kid who is a selective mute. His special interest is Latin and the nuances of the English language and it’s quite possible he’s hiding strange powers. Also, if you’ve read any of my books and liked them, please review them. 10. Take suggestions on how to effectively spread the word about my books that do not, as Guy Kawasaki suggests, require $10,000. Got any ideas? All about the love…and vengeance. 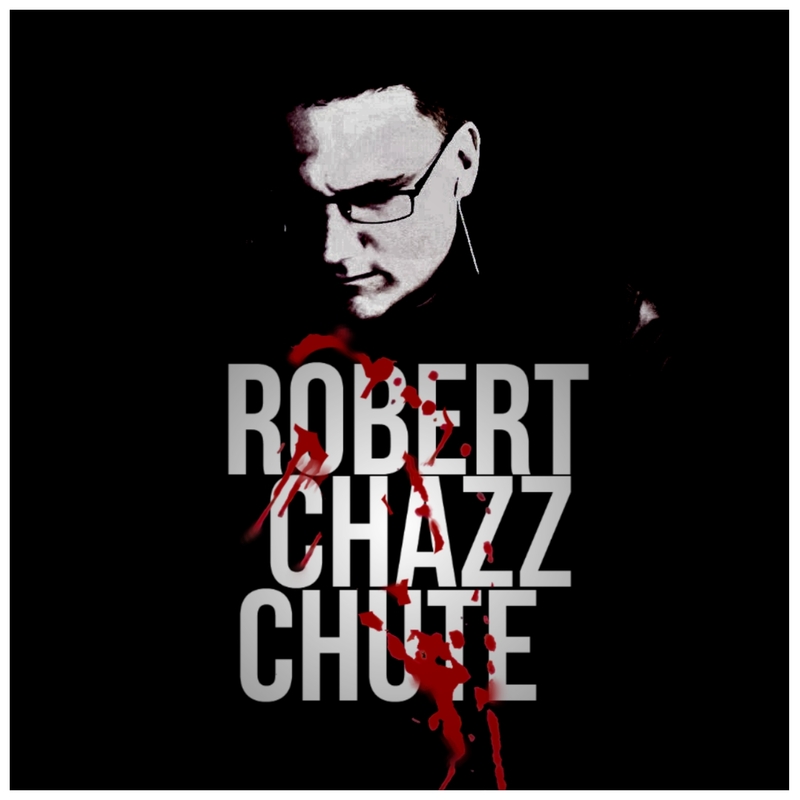 ~ Robert Chazz Chute is everywhere, yet nowhere, at the fork in the writing road. One path goes up and the other goes down-dooby-do-down-down. I’ve gotten more reviews from StoryCartel.com than any other single source. I admit it. I’m guilty. I’m one of the guys who have gotten a free copy of “Six Seconds” and have not written a review. But the book’s not done yet. It should be. I’ve been frantically working on it. I got people clamoring for it. People who have read my first formatting book, “Anyone Can Make a Kindle Book” (five stars on Amazon), and have been waiting for me to write an EPUB one that’s just as good. I can’t use the advice you give in “Six Seconds” until my book is done. I did read the sample and liked what I saw which is why I asked for the full book. But I don’t want to read the whole thing and then not use it right away. And I can’t review it until I read it. I’m also reading “Bigger Than Jesus,” which is a fun book. I hope you do well with it. But that takes time, too. So… I’m one of the guilty ones. But I will get back to you. You will get a review. Ah, Peter! I wasn’t looking to guilt anyone or asking for a confession, but I really do appreciate your sentiments and I understand. I feel the pressure, too, believe me. Right now my accountant is clamouring for my tax paperwork and all I want to do is curl up with my revisions on my next book and tell her to go away. Firmly. It’s maddening, but I’m grateful that you haven’t forgotten me. Knowing it’s still coming alleviates my worry immensely. Thank you. I got one of your review copies of “Six Seconds” and left a 5-star-review right after reading the book – but at Amazon.de, since I’m from Germany and have only access to the German Kindle Shop. Thanks so much for that! You’re right, I had no idea it was up! I felt kind of oogy about asserting myself about the Six Seconds reviews in this post, but it has paid off in that I’m feeling much better about the issue now that I got the heads up from you and Peter. I appreciate that very much! Cheers! Great tips here. LOTS of them. I feel your pain. SAD is craptastic and affects me in the strangest ways. I’m a bubbly, happy person but my writing suffers when this hits. I too am just coming out of it and realizing I have over six thousand Twitter followers I could offer free books to and a plethora of avenues I could utilize. If only I just WOULD. Your post helped knock some sense into me and I’m going to explore some of those options now. Good luck on your PR and congrats on the reviews headed your way! I have an adoring cult? I should offer them freebies!!! Yes, I agree, glad we “met up”. My life is richer for it. I love that idea. Done! I’ll DM you, Jordanna.